In this video, Jason Bermas explains how Vladamir Putin completely owned Megyn Kelly during a forum she hosted a few days ago. Jason has never been a big fan of Putin, and has some huge questions regarding him and his power structure in Russia- but thinks he handled this one like a boss. Megyn Kelly brought up all the mainstream establishment’s talking points regarding classified information- saying that Russia interfered with the 2016 US presidential election. She said all 17 of the US ‘intelligence’ agencies have concluded that Russians did interfere. Putin comes back and says ‘show me the evidence’ that Russia was actually involved in this! She failed miserably to do so, and tried to spin it, asking if everyone is lying. Putin impressively lays out the facts, saying that any IP address can be made to look like it came from any country. This has been confirmed through WikiLeaks Vault 7. Putin goes on to say that the government’s involvement in the JFK assassination can’t be disproven, so why doesn’t this theory make more sense with all of the technology available? Kelly tries again to go after him about Russian involvement in US elections. 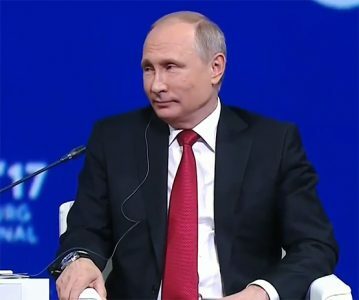 Putin brings up that the US is known to have tampered with foreign elections more than any other country! From 1946 to 2000 interfered with at least 81 elections in other countries. Meghan said Putin’s answer sounds like a justification. 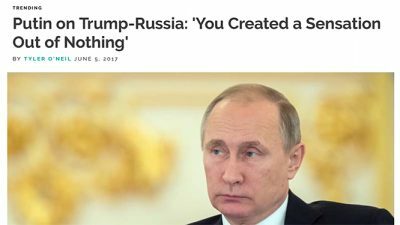 Putin said it sounds more like stated facts, and declared that the US created a sensation out of nothing in order to attack Trump. Learning and sharing true information from genuine sources is one of the best ways we can create a more peaceful world! NextVideo: CNN Religious Guy & Theresa May GO CRAZY!